Reports of the Agricultural Land Reserve's demise are greatly exaggerated, and are mostly urban arguments projected onto rural B.C. Apr. 1, 2014 6:00 a.m.
Forests Minister Steve Thomson and Energy Minister Bill Bennett take questions on changes to Agricultural Land Reserve last week. The two-zone plan is Bennett's project. 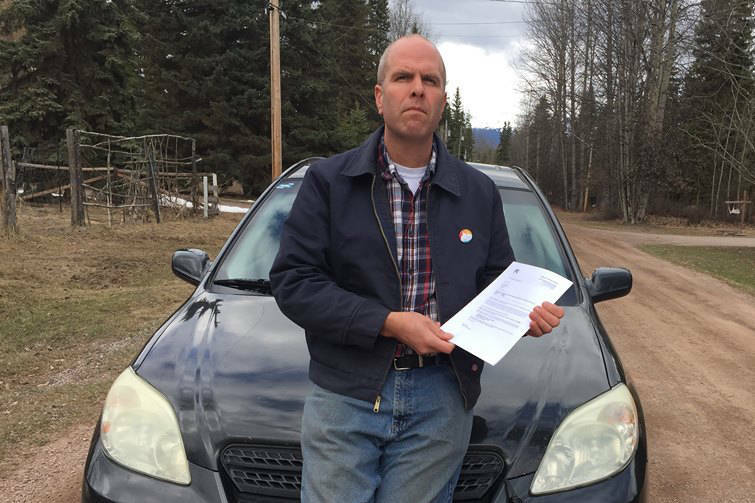 VICTORIA – Kootenay Bill Bennett has done what I reported last November he was doing: seizing the horns of the sacred cow that is the Agricultural Land Reserve. Henceforth there shall be two land reserves. The Island, South Coast and Okanagan, which produce 85% of B.C.’s total farm revenue on 10% of protected land, retains its strict anti-development rules. In the much larger area Bennett likes to call “beyond Hope,” non-farm uses will be considered to help maintain the many economically marginal farmers. This is the Interior, Kootenay and North, where development pressure is mostly an urban myth. In remote areas, ALR diktats with no relation to reality are routinely ignored. Political critics were quick to call this a B.C. Liberal hidden agenda to pave the ALR for their developer pals. Certainly neither party’s 2013 platform talked about the ALR, although B.C. Liberal leadership candidates Kevin Falcon and Mike de Jong promised relief from its more senseless bureaucracy to Peace country farmers in 2011. When the zone plan was revealed last week, media went to ALR pioneer Harold Steves, the hero of all Lower Mainlanders who try to tell northern farmers what to do. “My real fear is that they want to open the door for fracking and natural gas and oil,” Steves said. I’ve got bad news for the socialist sage of south Richmond. Oil and gas companies have operated on farmland since before the ALR was created in 1974. Conspiracy buffs should read the delegation agreement that was updated just weeks after last May’s election, giving the Oil and Gas Commission authority to administer wells, pipelines and waste pits on farmland. If the ALR interferes with the prescribed handling of drilling waste, it interferes with safety measures. University of the Fraser Valley “food security” professor Lenore Newman went on CKNW to refute what she called “uninformed arguments,” and then offered one of her own. This two-zone change is connected to the exclusion of large tracts of Peace land for the Site C dam, she said. Actually, the government exempted that project last December using the long-standing “provincial interest” provision, so this phase of the alleged capitalist plot against farmland has no effect on Site C.
Again, this is an urban problem projected onto rural B.C., where costly restrictions mainly serve to accelerate the depopulation of rural and remote areas. Delta South independent MLA Vicki Huntington is livid about the legislation, which has no effect on loss of farmland in her constituency. The growing federally regulated port supersedes provincial laws, and the Tsawwassen First Nation is growing a big shopping centre on its treaty land. Aboriginal entrepreneurs are also starting to force big-box development on southern Vancouver Island, home of the purest of the pure left. This is where farmers can’t even protect themselves against deer. The most damning charge is that the six regional ALR panels now in place are open to corruption under new rules. Panel members have always been cabinet appointments, but currently some have been from outside the region, so they may be less likely to hand out exemptions to their friends. That is certainly something to keep an eye on. So is the status of B.C. farms, where the average farmer age is 56 and rising, and half of farms have income less than $10,000 a year.